This picture doesn't do it justice- I just finished making this. 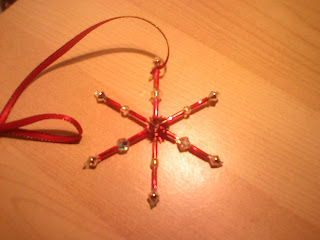 It's got alternating small and larger Swarovski crystals on a wire armature. I put a bead of hot glue on before and after the last silver bead to keep the ends on. It sparkles sooo nicely!